You have set up your business lately and have plans for branding and growth in the days to come. That is a wonderful idea as an entrepreneur. You have the fire in the belly to start your venture when others dare to tread because business is not immune to risk. When you are the boss, you will reap the profits. That is better in a way when you do not have to pay your partners. However, when you are the sole leader, you need to face many challenges alone, one of which is designing a professional website for your business. Therefore, you must take the help of professionals in the field to build a stellar website. According to an article published on HuffingtonPost, people believe that web designing is cumbersome, time-consuming, and costs a lot. No, it need not be the way. Designing a brand new website comes with many benefits. It helps in branding, online marketing, improves user experience, make your web pages visually appealing, and things like that. You can display your company’s brand message, design attractive product pages, sell online, and earn dollars. 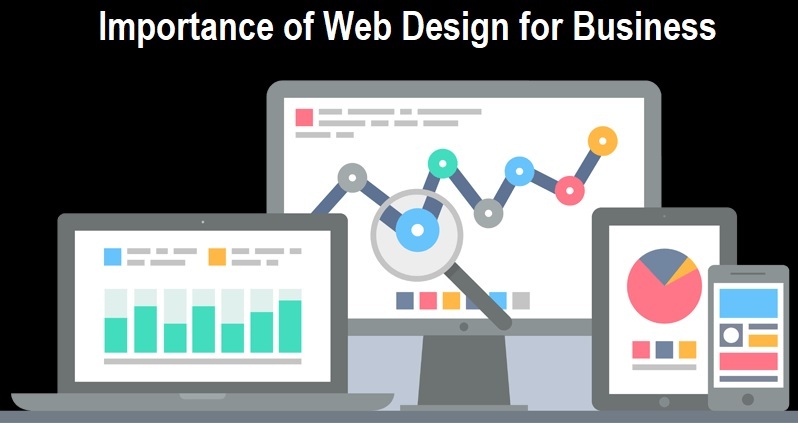 Web design also helps in attracting customers to your business, thus increasing the possibilities of leads and conversions provided you have all the details embedded in the design. Read on to learn about the many benefits of quality web design for your business. With millions of websites selling products and services online, it is difficult to keep visitors on your web page for more than a few seconds. That is because their attention span is a record low. They look for information and smooth navigation for hassle-free browsing experience. If you fail to meet their expectations, users will click away and visit the site of your competitor. Then, when you have a neat layout, finely crafted, alluring design and graphics, and seamless navigation buttons, people will stay on your website. You want as much as visitors and the numbers to grow. Remember that only a few will order from your products page or send an inquiry after reading your business’s service page. The competition is tough, and you must win at any cost, produce the best design. Your website promotes your products, and therefore, you should create navigation menus and buttons that are easy to understand with a simple copy and alluring graphics. Branding is everything today. Superlative, high quality and consistent design will reinforce your brand and keep it robust in the eye of your targeted audience. Even little changes in the page layout can make a huge difference. It shows how the visitors look upon your site. The right color, logo, graphics, and design will make your business look coherent and make it unique from the rest. Therefore, take some time out of your busy schedule and focus on the design. It will help you in the long-term. Along with web design, you need to focus on digital marketing to take your website to the next level and boost your online presence. Hire a professional agency to do the work for you. Give them your plan, briefing them about your business, products, or services. Send a questionnaire, if required. An experienced web designer will have the vision to boost your brand presence online. Create a visual language for your audience that is consistent in all respect, including logo, social media accounts, brochures, flyers, and business cards. Create the first good impression in the mind of your customers. It will help you in the days to come. Your existing and prospective buyers will remember you as a reliable brand through your design. One look at your home page and people will say what a website! It includes everything like banner images, videos, graphics, and choice of font, text color, contrast, animations, and other details to make your website pop. However, do not include too many animated visuals because that will make your site slow. The pages will take time to load, and visitors will turn impatient. Add a neat and polished look to your web pages. Impress your audience. Hook their attention. That is the only way to attract visitors to your site. The design should be appealing enough to capture the attention of the users. A few people may say that these aspects are irrelevant and do not matter. Then, do not pay heed to such unprofessional comments. It is a waste of time and energy. Include the right menus, bars, buttons, colors, graphics, and patterns to make your web pages stand out from the rest. That is the key to the success of web design. Your web pages should also have legible fonts, functional menus, and smooth user experience. The longer a user lingers on your web pages, the better. Now, what does that mean? It signifies that the visitor likes the design, the page layout, navigation tools, fonts, colors, and graphics. He or she feels intrigued to look for more information. If you have an e-commerce site, then a user-friendly product page will go a long way in generating leads for your business. Right from the fonts to the colors used, all the design elements will ensure that your site has more visits, customers, leads, conversion, and finally sales. And when sales improve, you start earning the revenues. You roll in money. People start to buy products from your website if they find the checkout process easy and smooth. These individuals when like shopping from your site will tell their friends and family members to purchase from your website. Do you know why? That is because you have neat, organized web pages that make browsing super easy and convenient. Look at professional websites and take inspiration to develop your site. It will help. You need copy design, but get inspired to give your best. Now that you know about the benefits of web design, what are you waiting for? If you have a business, start planning the pages for your products or services.